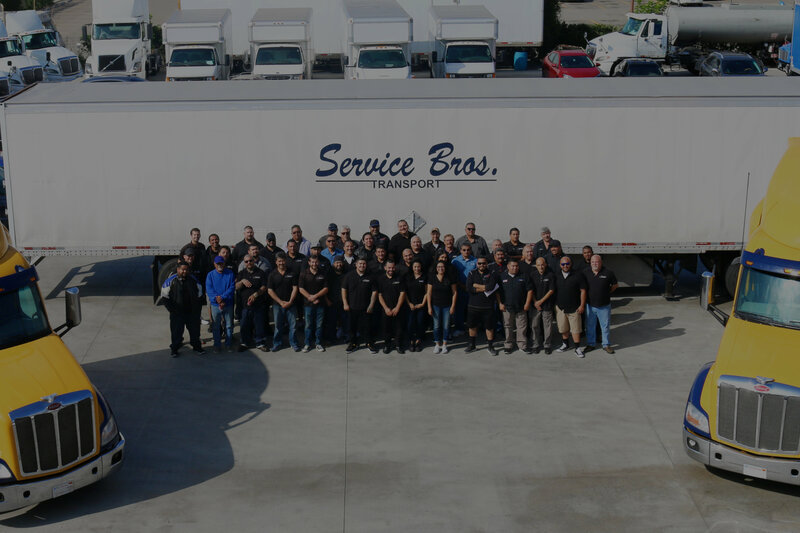 Service Bros. Transport is a family-owned truck shipment transport company serving California, Arizona, Nevada, and Utah for over 20 years. Since we started operating, Service Bros. has properly and safely delivered over 1,000,000 truckloads. We have the expertise and dedication to provide you with the best service and on-time deliveries available. Choose Service Bros. Transport for your LTL or FTL truckload shipment company. Service Bros. Transport has created and maintains an organizational culture that attracts and retains intelligent licensed employees who have been empowered at every level to consistently deliver our company’s core values, which is proven with long-term employees and the company’s 20 plus year history of solid performance.